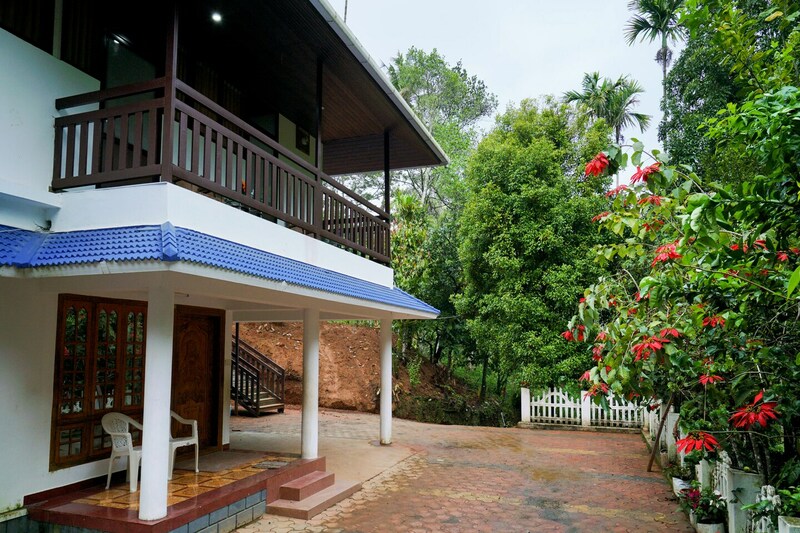 Home Exotic Nutmeg Valley is an ideally located and charming homestay near River Muthirappuzhayar. Surrounded by Beautiful greenery, this property allows guests to enjoy scenic views from the balconies and verandah. The rooms are cozy, contemporarily furnished and feature TV and mini fridge. Bright tiles enhance the look of bathrooms here and you will find geysers too. The living area and dining area is well-decorated and features a prayer corner, A modern kitchen makes preparing meals easy. Other facilities like power backup and CCTV cameras are also available.